Manufacturers will soon be able to replace silicon with carbon nanotube transistors in making transistors used in electronic devices. This is because carbon nanotubes address most of the shortcomings that silicon has. Carbon nanotubes are the ideal replacements for silicon since they exist in several allotropes — each of which have a high potential. Recently, researchers successfully demonstrated a working computer based on carbon nanotube transistors, instead of the conventional silicon ones. This promises much smaller devices that will be exceedingly fast while consuming very low power. Initially, researchers made individual transistors from carbon nanotubes, and later advanced to making simple electronic circuits. Eventually, they interconnected the transistors to form a low-powered “Turing complete” computer from these carbon nanotube transistors. While this demonstration cannot be considered as a breakthrough, it can be viewed as the first fundamental steps to exploring with precision the possibilities of replacing silicon in the manufacture of semiconductors. 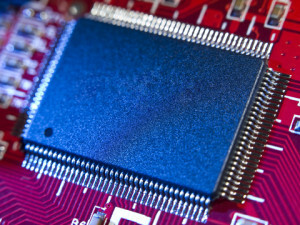 It shows that carbon nanotube transistors can make a universal computer, just like silicon. Some of the advantages of using carbon nanotube transistors to make computers in place of silicon are that these computers will be ever more powerful, much faster and cheaper than conventional ones. They also require less power to operate that the existing ones. Since any new technology unveiled must meet the thorough factory processes that constitute the modern semiconductor industry, it might take not less than three years for this technology to be tested and perfected before it hits the market. Some companies such as I.B.M are already wary that silicon might cease to scale down further in its use for the manufacture of transistors. These companies have, therefore, turned to the possibility of using carbon nanotubes. This computer was made in accordance with the standard industry requirements such as those used to make silicon transistors. This means that it will be possible to manufacture hybrid chips from carbon nanotubes and silicon in certain locations/proportions to extend the use of silicon.